Do you follow me on Twitter? If so, do you know about my sordid, steamy love affair with orange chicken? I'm partial to the Panda Express kind (Molly, Cale, and I have been trying to convince them for a good year-and-a-half now to take us on an influencer trip, EHEM PANDA EHEM WE'RE STILL WAITING), but in a pinch, I'll settle for Trader Joe's frozen version or the sketchy takeout place down the street. And until recently, I was always a little scared to make it from scratch at home. And why bother, especially if it's just a takeout menu away? Because it's like roasting your own chicken instead of grabbing it from the HOT FOOD section at Whole Foods, or making your own non-box mix cake for the first time. A rite of passage, and not actually all that hard or scary when it comes down to it. Well... okay, fine. 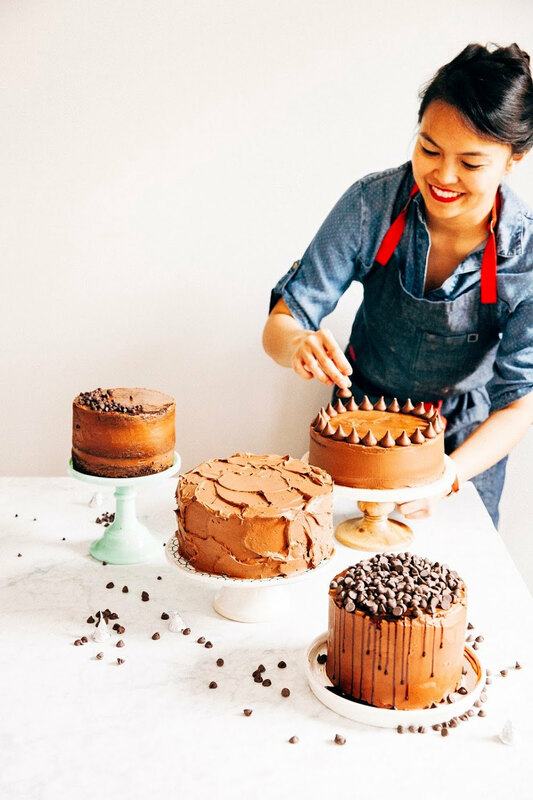 Unlike your own roasted chicken and making your own cake — both of which are infinitely better than their HOT FOOD/shelf-stable mix counterparts — I wasn't actually 100% convinced that the homemade version was better. I mean, don't get me wrong, it was DELICIOUS, but push comes to shove, I'll probably still reach for the takeout menu next time. Besides this was a fun little weeknight project instead of just spending countless hours binge-watching Shameless (I'm late to THAT party, I know). I adapted the recipe from one of my favorite savory blogs, The Woks of Life. 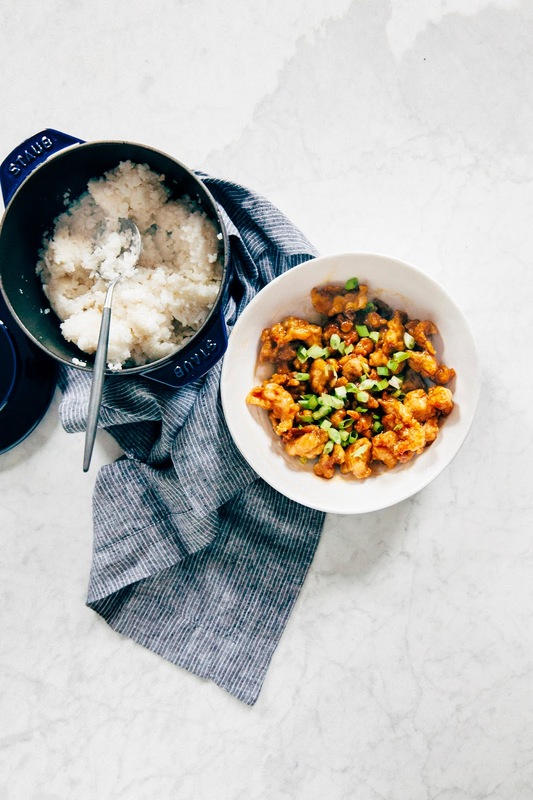 If you're ever looking for an Asian recipe — or really, any recipe at all — you really need to check their blog out. 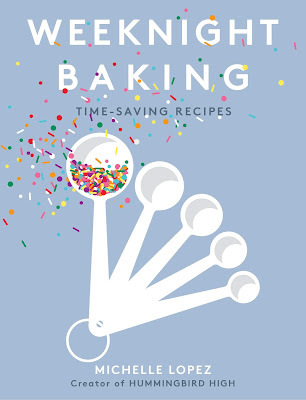 It's full of amazing stories and photos, all guiding you through the most delicious recipes. 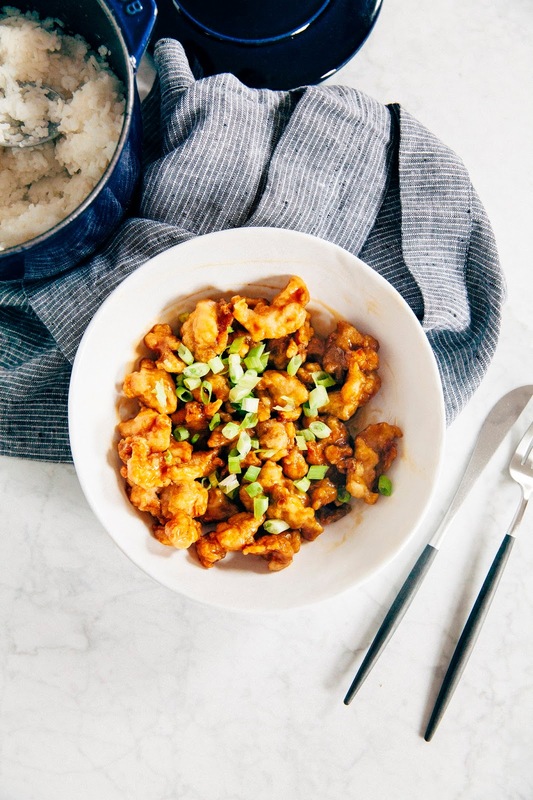 The main changes I made were mostly to make it more low-brow and more similar to the ingredients I found in copycat Panda Express orange chicken recipes and the back of a Trader Joe's orange chicken bag. 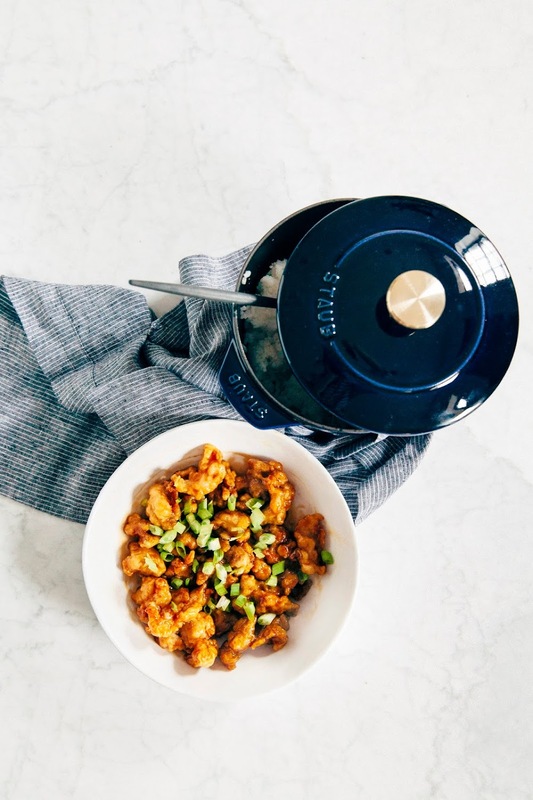 This post was done in partnership with Food52 who provided me with a Staub rice cooker. I've been a big fan of Staub cookware for many years now; their cookware is not only incredibly functional and durable, but extremely beautiful. 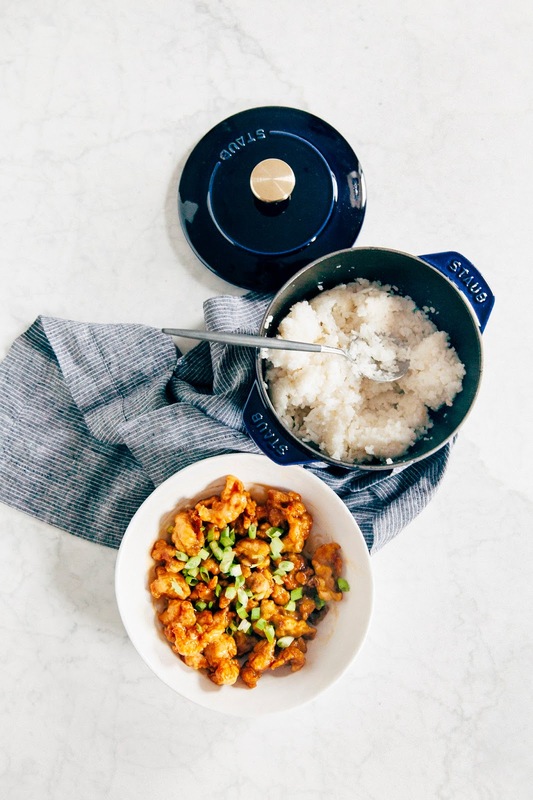 This petite rice cooker in the blue color with the brass hardware is only available at Food52! As always, all thoughts and opinions are my own. Thank you for supporting Hummingbird High and all my partners! The original recipe from The Woks of Life uses half orange juice and half chicken stock for the sauce, but when I tried that, while tasty, it was far more umami than what the Panda Express variety traditionally tastes like. I subbed out the chicken stock for another portion of orange chicken for a sweeter dish. 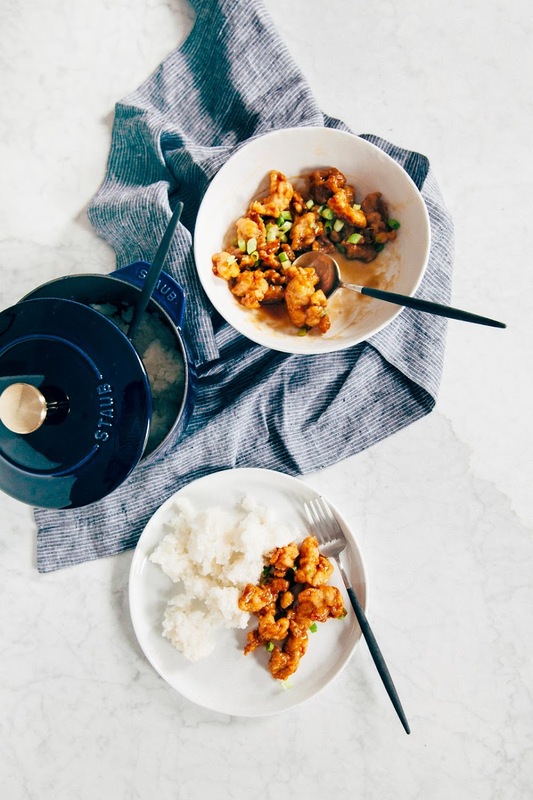 I used both dark soy sauce and light soy sauce in this recipe because both those ingredients were listed in the back of the Trader Joe's orange chicken bag. Dark soy sauce is richer, saltier, and sweeter than light soy sauce, which is traditionally used more as a light dipping sauce. In a pinch, you can use whatever soy sauce you happen to have on hand, but it's worth reading up on the flavor differences between soy sauces and seeing what nuances they can add to your dishes! In a large bowl, toss together 1 pound boneless chicken thighs chunks, 1/4 teaspoon garlic powder, 1/4 teaspoon onion powder, and 1/4 teaspoon kosher salt until the chicken is lightly coated. Whisk together 4 large egg whites and 2 tablespoons cornstarch in a large liquid measuring cup until almost frothy, about 1 minute. Drizzle over the chicken mixture until all the pieces are coated and allow to sit for 5 to 10 minutes. In a medium saucepot, heat 1 1/2 cups vegetable oil until it reaches 350 (F). Working in batches, carefully drop a few pieces of chicken one by one into the oil, giving the chicken a gentle stir or so with a heatproof metal spatula to prevent the pieces from sticking, and fry for 2 to 3 minutes or until light golden. Let the pieces drain on a plate lined with paper towels for 2 to 3 minutes. Then drop them back into the oil for 1 minute to really solidify the coating. Repeat until all the pieces are fried, then set aside to cool as you make the sauce. Next, make the sauce. In a large liquid measuring cup, combine 2 tablespoons cornstarch, 2 tablespoons water, a pinch of garlic powder, a pinch of ground ginger, a pinch of ground red pepper, and a pinch of white pepper. Whisk for about 1 minute to create another frothy slurry. Set aside. Heat a wok or a frying pan over medium heat and add 1 tablespoon oil. Add 3 to 4 pieces dried orange peel and toast for about 20 seconds, being careful not to burn the peel by tossing the orange peel quickly and rapidly. Add 1/2 cup orange juice, 2 tablespoons rice vinegar, 2 tablespoons granulated sugar, 1/2 tablespoon dark soy sauce, and 1/2 tablespoon light soy sauce. Bring the sauce to a simmer and gradually add the cornstarch slurry (from the 4th step), stirring constantly. When the sauce is thick enough to coat the back of a spoon (you won't likely need to use all the slurry), remove from heat. Add the fried chicken (from the 3rd step) and toss quickly. 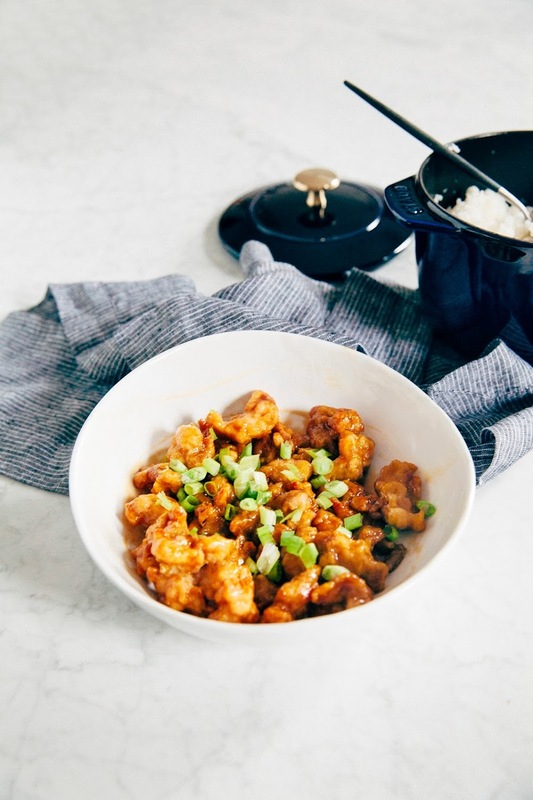 Serve with scallions and steamed white rice, and serve immediately!